Posted on April 6, 2015	by Rev. Joe Jagodensky, SDS. It was a gorgeous spring day in Washington D.C. The streets were bustling with people as Charles Leale strolled among them. It was unseasonably warm. Spring had arrived, and he noticed freshness to the air as he inhaled and exhaled. There was a scent of flowers, and the buds were becoming fuller on the trees. 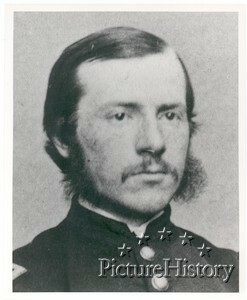 Charles Leale had just graduated from medical school. He joined the army, and his future was radiant with hope and promise. Everything was perfect, including this day. It was Good Friday. Easter was late in this calendar year. The shops were at full tilt as they sold their wares to those celebrating the upcoming Easter holiday. Most would close briefly in the afternoon out of respect to the death of the crucified Christ. Leale heard the voices of children’s laughter and momentarily watched a couple of adventurous boys crossing the Potomac in a rowboat. The large oars that would build their muscles seemed unwieldy for their young age. The soldiers were coming home from a dreadful war, and he would be tasked to attend to those wounded in the bitter conflict. However that was for another day. Tonight he would attend the theater and enjoy the evening with friends and perhaps a libation or two. As Dr. Leale prepared for his evening outing he decided to wear his dress blues. It was rumored the president and the first lady would be in attendance at the evening’s performance. As a newly commissioned officer, and surgeon in the U.S. Army, he felt it was the appropriate attire. He was an admirer of the president and had been impressed with a speech he attended only a few days earlier. Deciding to walk to the theater, he pulled his jacket collar up as the warm spring day gave way to a chill in the air. A curtain of haze was beginning to rise on the Potomac. The moon appeared full but, in stopping, he noticed it was a gibbous moon, not quite full. The unmistakable smell of a renewed season lingered in the cool night air. It was, however, this day, this perfect spring day that 23-year-old Dr. Charles Leale scarcely six weeks out of medical school life would be changed forever. Two police officers were shot in Ferguson,Missouri and two cops were shot at a point-blank range while seated in their squad car in New York City. In Madison, Wisconsin yet another unarmed young man of color was killed during an altercation with an officer. In every major urban area in the country protesters chant, “Black lives Matter.” Cops are afraid to do their job because of the insecurity they have about their responsibilities in enforcing the law. Just about everyone feels besieged; the crisis in confidence that further erodes American temperament is the subjectivity of media reporting. The crazies on all sides get the lion’s share of exposure because reckless comments draw viewership and sell papers. The shallow TV journalists appear more concerned with the right makeup, clothing or fashionable eye wear than with the news they report. The divide in America feels like a new Civil War. We are all secessionists. We separate along race, politics, religion, heritage, schools, neighborhoods, words, and wealth. We call the protests civil unrest. Why not just substitute the word war? It is difficult to use the predicate word civil with the word society. God help you if you’re among the majority of centrists Americans; yours is the voice most commonly disparaged by those on the extreme ends of the political bell curve. Most of us fume in silent frustration. The union isn’t quite broken, but severely stressed. Shortly after intermission there was a commotion in the theater. Dr. Leale was summoned to the president’s box. As he scurried to the box he felt a rolling thunder of audience hysteria chasing him down the hallway. What must have he imagined he would be coming upon? He entered the box and the president was slumped in his chair. The first lady pleaded with him to help. Initially, he thought the president had been stabbed. He felt a light pulse and asked onlookers to help move the president to a recumbent position. Dr. Leale held his head and shoulders and, in caressing the back of the president’s head, came across a clot of blood with the little finger of his left hand. It slid away. He felt the gunshot hole. He turned and said solemnly, “This wound is mortal,” as the president’s blood streamed through the loving, cradling grasp of his left hand. Do you remember the TV show “The Dukes of Hazzard” from the 80s? It was a series about two brothers living in a fictional town in rural Georgia. Harmless themes about the glory of the Confederacy were implicit during its five-year run. A regular character named “Cooter” in the show was, in real life, Ben Jones. He served two terms in the U.S. House of Representatives. Well, he and a bunch of his good old boys have a case pending in the United States Supreme Court. They want the right to display the Confederate flag on their vanity license plates. It was turned down by the Texas Dept. of Transportation. Ben, aka Cooter, and the boys argue they have a First Amendment right to display the flag. The Texas DOT asserts the government issues license plates, thus it should be considered government speech. Therefore, their position is Cooter’s confederate flag plate is not constitutionally protected free speech. Does it really matter? People do have a constitutional right to be ignorant, hurtful, and boorish reprobates. Doesn’t this speak to a larger issue about all of us? Dr. Charles Leale’s mind must have been cluttered with thoughts, even decades after President Lincoln’s death. Nothing ever could, or would, be perfect again. Oh, sure,there would be other splendid spring days where he would pause and fill his lungs with fresh air but with each exhale his thoughts would drift back to that fateful night in April 1865. Leale married, fathered six children and practiced medicine until 1928; he died 67 years after President Lincoln’s assassination. His was a good life. Dr. Leale, like all of us, had those periods of time when he was alone with his thoughts. Did he ever wonder what President Lincoln, whose hand he held in death, would have thought about how the country was evolving? 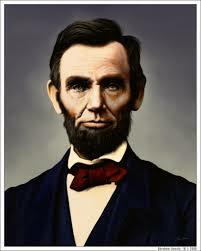 What would President Abraham Lincoln think of his beloved country 150 years after his passing? I think he would weep. This entry was posted in Spirituality and tagged Abraham Lincoln. Bookmark the permalink.